What anagrams are available for hors doeuvre? 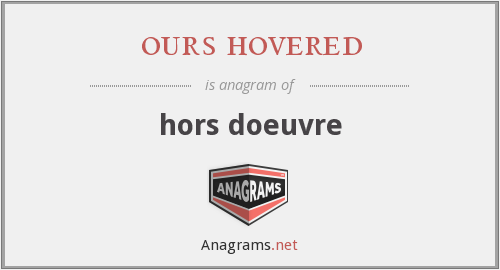 This page is about an anagram for the word ours hovered that can be used in word games, puzzles, trivia and other crossword based board games. What does hors doeuvre mean? A small, light, and usually savory first course in a meal. "ours hovered." Anagrams.net. STANDS4 LLC, 2019. Web. 19 Apr. 2019. <https://www.anagrams.net/term/32371074>.